This Pressure Cooker/Instant Pot Cuban Black Bean Soup takes just 15 minutes to cook, just an example of how pressure cooking can save you time on busy nights. I used to use canned beans all the time because of the convenience. 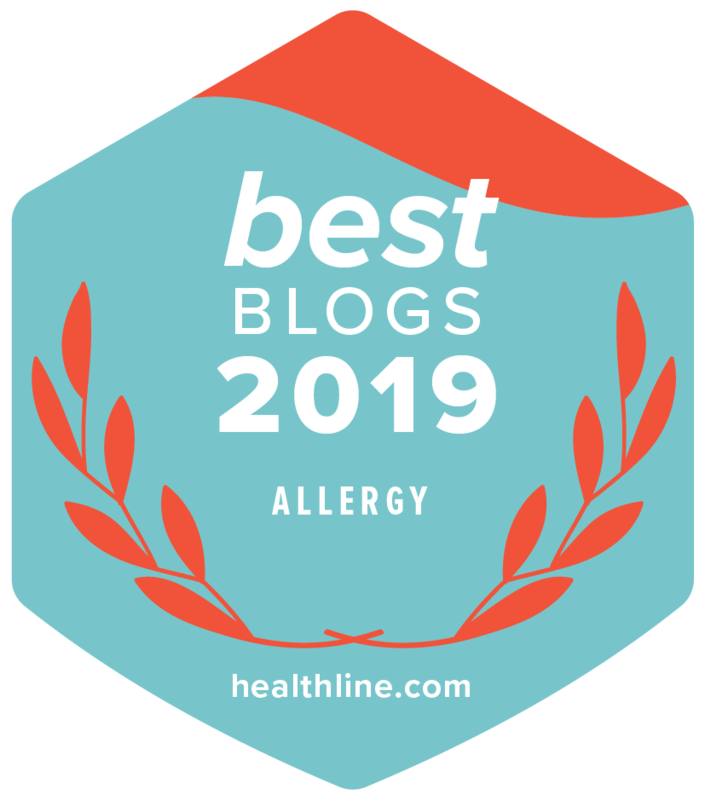 But, once I discovered how much more flavorful and easy to make dry beans were, I’ve been using the pressure cooking method to make big batches of beans. Cooked beans freeze well, so it makes sense to make a batch of beans and just pull them out whenever I want to add them to chili to make this Cuban black bean soup. 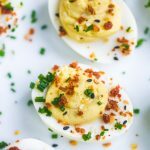 2 Freestyle points per serving. 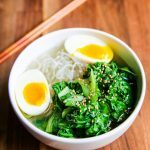 I’ve been playing around with pressure cooking for the past five years and have adapted many of my slow cooker recipes and regular stove-top recipes to pressure-cooked ones over the years. Not only does pressure cooking save a lot of time (it reduces cooking time by about 2/3), but I’ve found it makes incredibly flavorful stocks and tender braised meats. The pressure cooker is the opposite of a slow cooker. Both have their place in the kitchen, and there will be days where I get dinner started early and make Asian Chicken Stew in my crockpot, and other days when I’m running late, and make Turkey Bolognese Sauce in my pressure cooker. For this Pressure Cooker/Instant Pot Cuban Black Bean Soup, I modified my Crockpot Cuban Black Bean Soup recipe, ramping up the spices a bit to even more flavor. 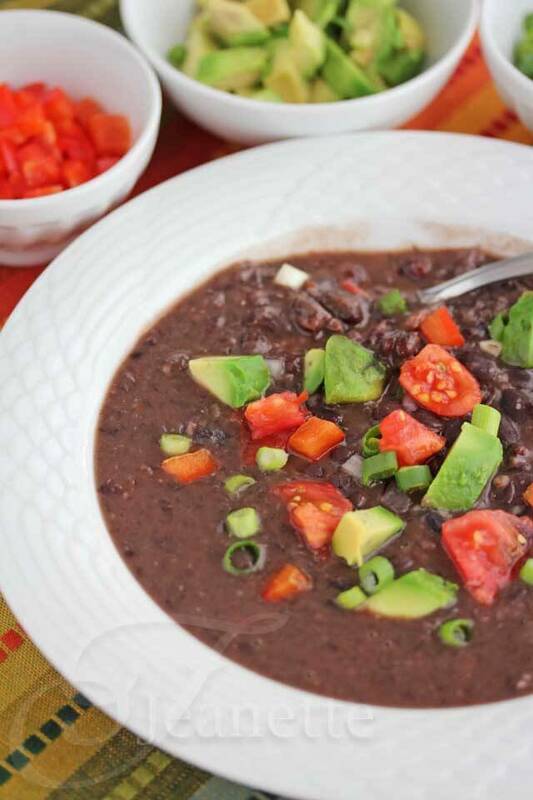 I love using dried beans for this Cuban black bean soup recipe because the flavor agents are cooked along with the beans (e,g., onion, garlic, red bell pepper, cumin, oregano), adding more layers of flavors that you won’t get from canned beans. When pressure cooking beans, I like to soak the beans overnight. You can also soak them in water and keep them in the refrigerator until you’re ready to cook them. I actually left my beans soaking for a day and half because I was busy using my pressure cooker to make chicken stock the other night. This recipe for black bean soup took just 15 minutes to cook at high pressure, before I turned off the heat and let the pressure release naturally for another 15 minutes. I was skeptical that the beans would actually be cooked. However, when I tested the beans after the they had rested 15 minutes, the beans were just tender. If you want your beans cooked until they are really soft, I would increase the cooking time. For a creamier texture, I used an immersion blender to puree some of the soup in the pot, leaving some beans chunky for texture. 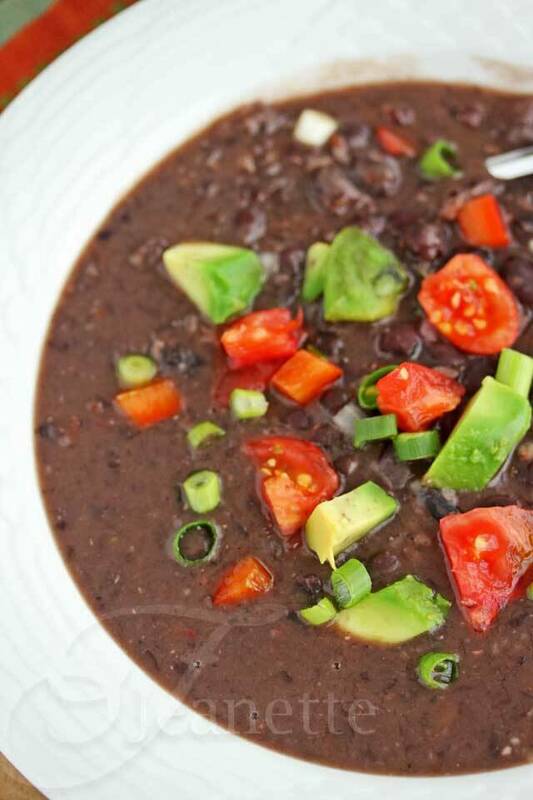 The fun part about this pressure cooker/Instant Pot Cuban Black Bean Soup are the toppings. I used fresh chopped avocado, tomatoes, red bell peppers, onions and scallions, and a drizzle of sherry vinegar, which the boys really enjoyed. Heat oil in a 5 quart pressure cooker. Add onion, red bell pepper, garlic, bay leaf, cumin and oregano. Saute until onions are soft and spices are fragrant, about 4-5 minutes. Add pre-soaked beans, black pepper, salt, vinegar, red wine and water. Cover and seal pressure cooker according to manufacturer instructions. When pressure cooker reaches high pressure, reduce heat to low and cook for 15 minutes, watching to make sure pressure cooker maintains high pressure. If necessary, turn off heat to regulate pressure, and turn back on as necessary. Turn off heat and let pressure release naturally for 15 minutes. Release any remaining pressure according to manufacturer instructions. Remove lid and use immersion blender to partially blend beans in soup, if desired. Select "Saute" on Instant Pot and heat oil. Add onion, red bell pepper, garlic, bay leaf, cumin and oregano. Saute until onions are soft and spices are fragrant, about 4-5 minutes. Add pre-soaked beans, black pepper, salt, vinegar, red wine and water. Select "Cancel." Cover and seal Instant Pot according to manufacturer instructions. Select "Bean/Chili" setting and set timer for 15 minutes. After timer beeps, select "Cancel" and let Instant Pot naturally release pressure. Remove lid and use immersion blender to partially blend beans in soup, if desired. This soup looks wonderful! I grew up eating beans more often, but my family (husband and kids) don’t really enjoy it as much as I do (WHY?!?!). I haven’t given up yet but most likely I end up eating more than necessary. =P Love to try this one of these days. Looks yummy!! I definitely need to try the pressure cooker bean cooking method. So often I forget to soak my beans the night before and then it sets me back a day before I can cook! 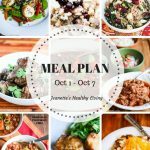 Joanne – I am absolutely loving my pressure cooker – makes it a no brainer for cooking foods like beans that I might otherwise not be able to make on a weeknight. Hello!! 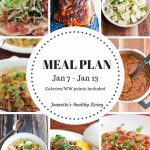 I am so excited to try this recipe but I have a slow cooker not a pressure cooker! How could I convert it somehow? Terra, I definitely have a craving for soups as the weather gets cooler. Hope you enjoy this! Boy I wish I could eat more black beans. I do love them! This looks wonderful. Thanks Carolyn – the boys loved this. The toppings make this extra fun. This looks too good! On my list when it gets cold here! 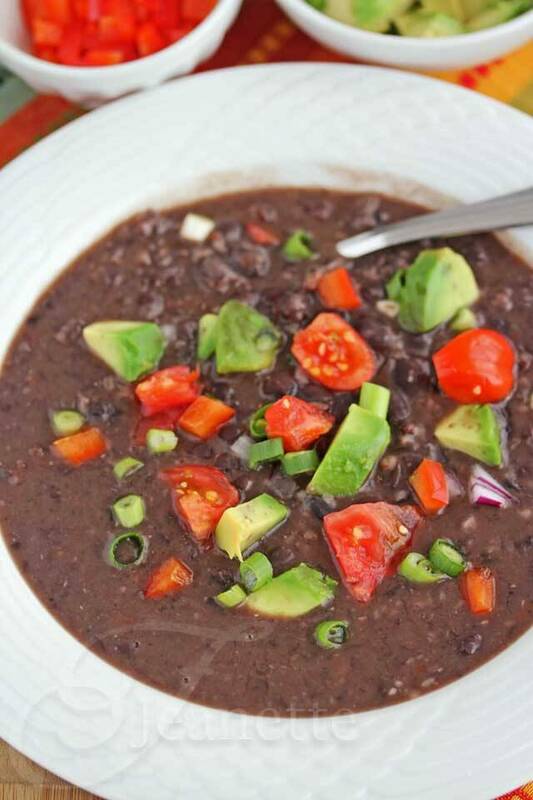 Thanks Alison – black bean soup is perfect for cooler weather. Kiran, I can’t believe it’s taken me so long to make beans in a pressure cooker. I’ve seen pressure cookers in our local Indian grocery store and now I know why – speeds up cooking beans incredibly. 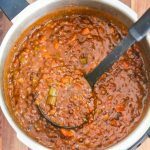 My husband has been talking to me about a pressure cooker for years (he’s a big fan) and looking at this recipe and the delicious result, it’s hard to argue! A perfect busy family solution. Kelly, I can’t believe it’s taken me this long to try a pressure cooker – now that I have one, I use it all the time. I love love using my pressure cooker. This bean soup looks so nice, I am so glad my family loves soups and beans in particular. Looks really nice. Ash – I am having so much fun with my pressure cooker. It makes cooking so easy! Love beans, but I thought pressure cookers were for meat and chicken etc. Pardon my ignorance but never used one… sounds very interesting though. Manny, I’d never thought to make beans in a pressure cooker before either, but it works really well and reduces the cooking time significantly. You can prepare any meal that you can prepare on the stove top or slow cooker in a pressure cooler. And the pressure cookers they have today are so much safer that those that were used when I was a child. Today’s pressure cookers are usually electric and are easy to use. And since it is so quick, you can eat more healthier by using fresh ingredients that are fused together to give you fantastic flavors and aromas. I can go on and on, but all I have to say is purchase one. You wont be sorry. QVC.com or HSN.com are two good places to purchase one. I have two, one from each site. Good luck. Lesa – thanks for sharing. I love using the pressure cooker – and you’re so right, much safer than the one I remember my mom using. It sounds great and the fresh chopped veggies sound like the perfect compliment! 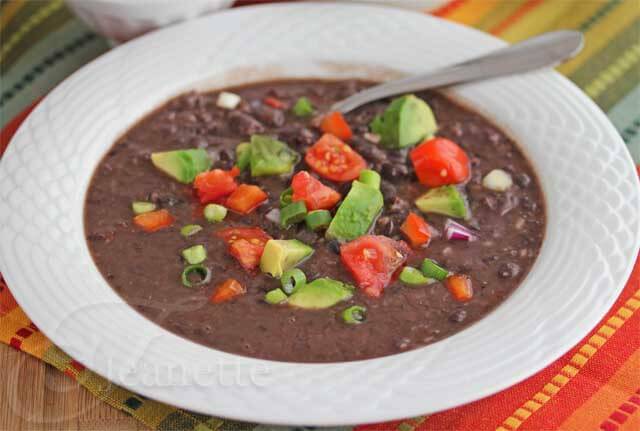 Those pictures just look divine and make me feel a massive massive craving for black bean soup. YUM. 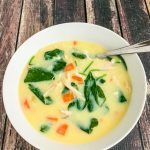 I’ve made this soup several times and it’s absolutely delicious! I power soak the beans instead of soaking them all night, but it is really superb. Thanks for the recipe! Sarah – so glad you have been enjoying this soup. Great idea quick soaking the beans to make this go even faster! At what point do you add the beans? The recipe doesn’t call for adding the beans at any time. Hi Magie – I fixed the instructions – you add the beans after sauteeing the onions. Thanks for catching that. 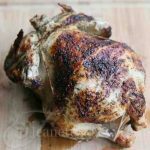 Shellie – so glad you tried this recipe and your family enjoyed it. Thanks so much for letting me know! A wonderful recipe book for pressure cookers, especially for those just beginning, is the Quick and Easy Pressure Cooking by Bob Warden. Even after I bought my pressure cooker I was a bit anxious to use it but the book was really easy to follow and helped me a lot. Hi Jeanette, do you remember what brand of black beans you used? Hi Mark – I don’t remember what brand I used – they might have been bulk dried beans from Whole Foods. You can use any kind. Hi Jeanette: This is my first visit to your site. I’m getting ready to make this now for lunch or dinner. This will be my fourth use of my pressure cooker. 1st = fail on cooking butter beans (ended up with mush) 2nd = pulled pork in 45 minutes – wow! 3rd = quick chicken stock recipe from Alton Brown – amazing. 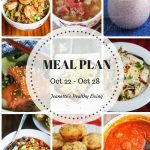 What are your favorite pressure cooker meals? Hi Lori, thanks for visiting! I’ve found stocks, stews and beans cook well in the pressure cooker. Beans take a very short period of time to cook – check your pressure cooker manual for times. It depends on the type of bean as well. Some beans can cook in as little as 3-4 minutes (my manual says butter beans cook in the same amount of time as lima beans which is 3-4 minutes on the first red ring), and others take up to 14 minutes (that’s the longest cooking bean in my manual). 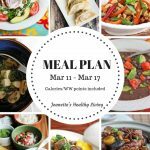 Being new to pressure cooking, can I use the same recipe with black beans that have NOT been soaked overnight? What is power soaking one of your readers stated above? I understand my cooking time will increase but that’s ok. If you don’t have time to soak beans overnight, an alternative method I have used is to bring the beans to a boil in water, turn off the heat and let them sit for an hour. I just got done making this soup. It is so good! I’m sorta shocked that my old (1970-80 pressure cooker still works, and didn’t blow up, 😏) And, that I would love a vegetarian soup this much! 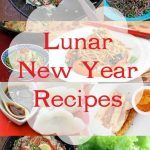 My daughter in law, to be is vegetarian, so I’m always looking for good, healthy things to make for her. I intend to check out your other recipes ASAP!Thank you so much for sharing with us. This is a great recipe. The only thing I changed was to add 2 packets of GOYA Sazon with saffron. That takes the flavor over the top. 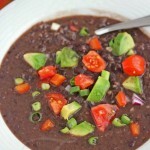 It brings it very close to the Cuban black bean soup I am familiar with in the Tampa Bay Area. Any good substitutes for the wine? I don’t normally have any wine in my kitchen. You can use beef, chicken or vegetable broth. If you use vegetable broth, try adding a splash of soy sauce.